I drafted a long piece yesterday reflecting upon the presidential election results intertwined with skeptical outreach going forward, and it was a swell way to vent. The piece was meandering crap. I will spare the reader the piece, and give the Cliff Notes version: Get out of the bubble. This is not with an immediate goal of changing others minds or inoculating a growing circle of people be they young, old or middle aged gray beards with the tools of critical thinking. No. These are laudable long term objectives. However, greater efforts ought to be made to acquaint oneself with the cultural competition whether it be in the realm of politics or (my focus here) on paranormal/alt med and woo woo proponents. I am not referring to just reading the other side's books, blog posts, listening to talk radio and podcasts, but actually mixing and mingling with "the other." Compared to these secondary sources this would be a primary source research, basic science, and PR effort. I cannot give a prediction on what continuous intimate interactions might be learned and how it can be used. That misses the point in that we don't know what we do not know, and therefore what spinoffs might result. The end lesson could be that the entire task of skeptical outreach is a fool's errand. Another (sad) extreme might be that skeptics are engaging in our activities just for ourselves and own enjoyment. Yet, Skeptics might learn superior methods of outreach beyond posting links, producing podcasts, and raising money for skeptical media projects which would be more efficient and do more for the same effort. At least a cadre of skeptics ought to attend pro-paranormal, alt med, and other such events. Not to challenge or confront, but to observe and be seen. If there is a paranormal conference of 100 in attendance, rather than there being a lone skeptic or two at the conference (if any at all), a small polite party of five or six would be nice. The attendees of the conference would hopefully take away skeptics are not evil blowhards, and skeptics could get a feel for what makes the attendees tick. A continuous effort over countless events and years would continue, but without expectation of some measurable success. People are not rational evidence-deciding machines. People have emotions and feelings. Perhaps skeptics could learn how this humanity could be harnessed to make critical thinking and skepticism more inviting to a wider range of people. Past and current outreach and educational efforts are fine, and obviously ought to continue. The community can walk and chew gum. 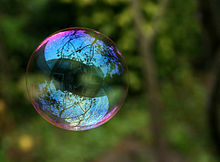 Nevertheless, a portion of the skeptical community ought to get out of our comfort zone and truly learn the lay of the land in the other bubbles; otherwise, our efforts will be based on half-baked information. Skepticism needs to be smarter. Skepticism needs to meet more people. Skepticism needs to learn to be more approachable. Skepticism needs to wise up.